None of the Flynn’s gave statements to the Gardai. A week after Niall’s murder they prepared statements were were witnessed by the Flynn’s family Solicitor Liam Lysaght. Liam Lysaght had also represented Niall in the past but he denied this for a number of years. 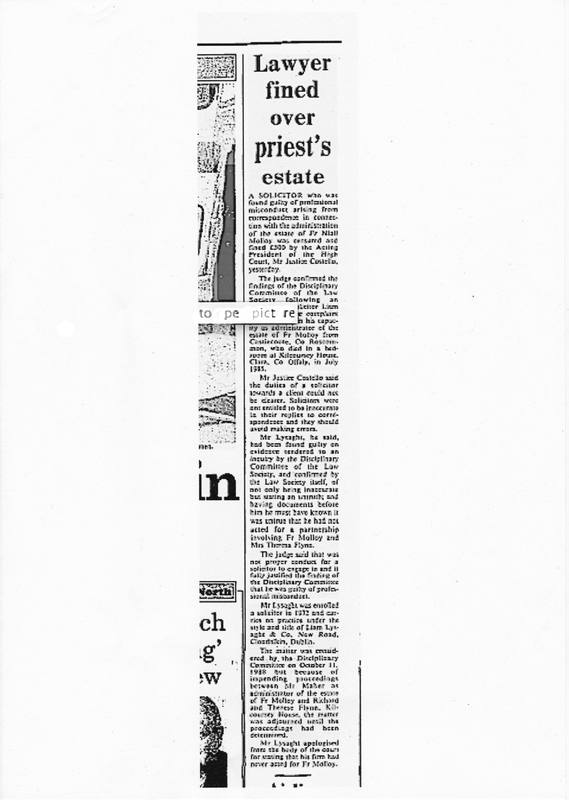 Concerning the key times of events on 7/8th July 1985 not all the Flynns evidence corresponds…….BUT………..there is also a conflict with what they said and all the Independent witnesses. This was highlighted as far back as 1987 in a Today Tonight special report on RTE.